Our range of products include chamomile oil (blue), cedar wood oil, black cumin seed oil (kaloungi), cedar wood oil rectified, laurel berry oil and juniper berry oil. Having year of experience in this domain, we are involved in offering best quality of Chamomile Oil (Blue). The offered Chamomile Oil (Blue) is available in the market in huge range at most affordable rates. 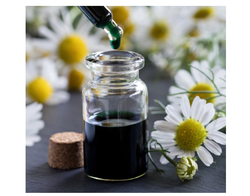 The Chamomile Oil (Blue) is extensively used as a stress relievers, relaxant, insect repellent, in skin care products, anti-inflammatory products and natural pain relievers. Our products are quality tested on various parameters before final dispatch to the market. Botanical source source it is obtained by the steam distillation of dried flower with stalks of matricaria chamomila l. The oil is viscous liquid dark blue with reflection of greenish colour.odour the oil is extensively sweet, harbaceous-coumarin like with a fresh fully undertone.specific gravity at 25ºc0. 910 - 0. 950acid value18384ester value0 - 40 (65 - 155 after acetylation) 1. 545 - 1. 558solubilitysoluble in 90% alcohol with separation of paraffins.uses in cosmetics, perfumary and as a flavouring agent, aromatherapeutic uses for skin (acne, allergies, eczema, inflamed skin conditions, shampoos and stress related disorders). 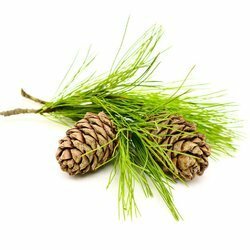 Expo essential oils, delhi is a trusted name for offering an extremely effective range of cedar wood oil which is extracted through the process of steam distillation of cedar wood. It is known for its rich, sweet and balsamic odor and is yellowish- brown in color and viscous liquid. Having great healing property, it finds its application in aromatherapy and can also be used as an effective insect repellent. We are engaged in offering fragrances for superior quality Black Cumin Seed Oil (Kaloungi) that is extracted from pure natural products. Experience members of our expert team closely examine our range of product on various parameters before making its final delivery to our respected customers. We offer this black cumin seed oil at competitive prices in the market. 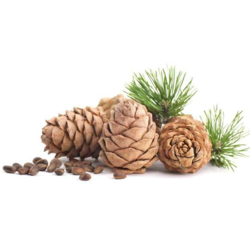 We owned the name of a trusted brand which processes and supplies a pure range of Cedar Wood Oil Rectified . We extract these oils from natural resources which contribute for their high demand among our clients. We further use cutting edge technology to crown these with flawless features which includes purity, free from chemicals and pleasant fragrant. source it is ontained by the steam distillation of the crushed seeds. The oil is light yellow to pale yellow. odour the odour is pleasant spicy and typical note of wood. The flavour is fresh medicinal but pleasantly spicy and warm flavour is unique. solubility soluble in alcohol and other organic solvents. uses widely used by buddhist in incence stick, perfumary compounds, ayurvedic medicines. 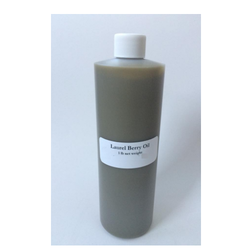 To meet the huge market demands, we are involved in offering best quality of Juniper Berry Oil. 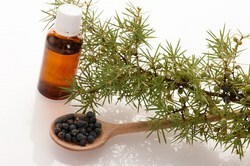 The offered Juniper Berry Oil is available in the market in huge range at most affordable rates. Juniper Berry Oil is extensively used for the urinary system, skin, digestive system, as a condiment and a flavoring ingredient in ginand bitter preparations. Further, these products have longer shelf life and easy to use. 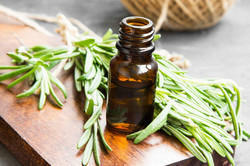 We also offer fragrances for thyme oil 60, which are used widely for various applications. These oils are obtained by steam distillation of the dried seed of cracym ajowan seed. The appearance of the oil is light yellow to dark yellow. The oil exhibits spicy, pungent and typical odour of thyme. The specific gravity of these is 0. 929 (0. 910 to 0. 930) with optical rotation +5 (slightly dextrorotary to +5). These oil exhibits refractive index of 1. 502 (1. 4870 to 1. 504). the uses of these oils are in pharmaceuticals, sauces, pickles and perfumery industry. Customers mostly preferred to purchase quality products, so we are involved in offering best quality of Blue Cammomile. The offered Blue Cammomile is available in the market in huge range at most affordable rates. 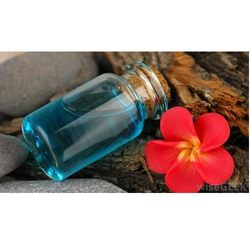 The Blue Cammomile is extensively used in herbal medicine for a sore stomach, irritable bowel, for intestinal gas, travel sickness, stuffy nose and in an emergency in its undiluted form. Looking for Organic Essential Oil ?